Welcome to Mom's Library! 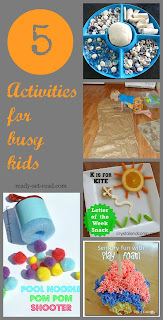 Filled with parenting tips, activities for kids, stories, crafts, recipes, and more! Each Tuesday I co-host Mom's Library along with True Aim. You have the opportunity to see featured posts and link up your own posts. We also have a weekly giveaway! Be sure to subscribe so you don't miss the next Library! Follow the Mom's Library Pinterest Board to see all of our featured posts. Tomorrow my 5 year old heads off to full day kindergarten. For the first time in 3 1/2 years I will be home all day with only one child. My boys can fight with the best of them, but they also love to play together. I think my little guy, Tyson, will really miss his big brother Logan. It will be an adjustment for all of us. Tyson may need a little additional help in keeping himself entertained. 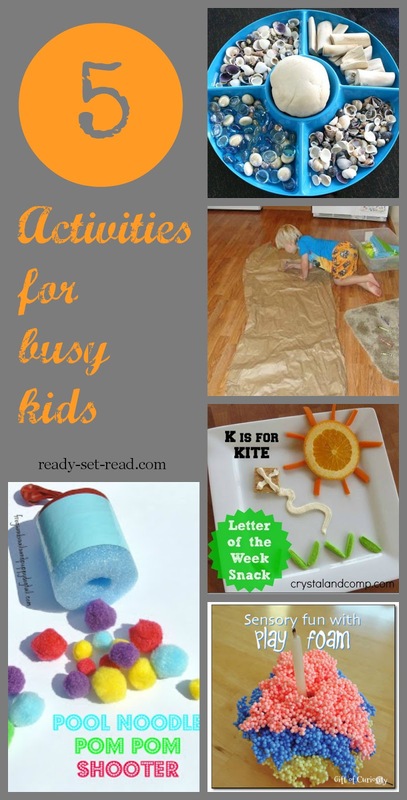 I was happy to find wonderful preschool activities linked up to Mom's library last week. These will be great for keeping my three year old entertained. 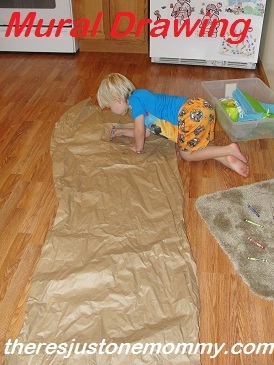 This week I am featuring 5 activities for keeping a preschooler entertained. 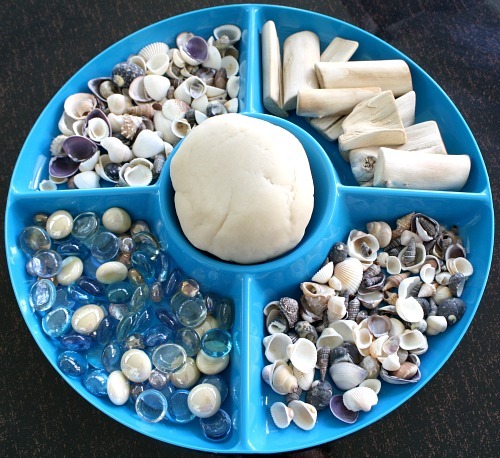 I love the idea of setting up invitations to explore, create, and play with shells in an open-ended way. I think my son will especially love this invitation to play with coconut scented playdough and beach objects. My 3 year old is a great artist and would love to create a mural like There's just one Mommy shared. The open-ended creativity would be great for helping Tyson learn to adjust to playing more independently without big brother. Just because my 3 year old is the only child left at home, doesn't mean I'm going to leave him hanging at snack time. 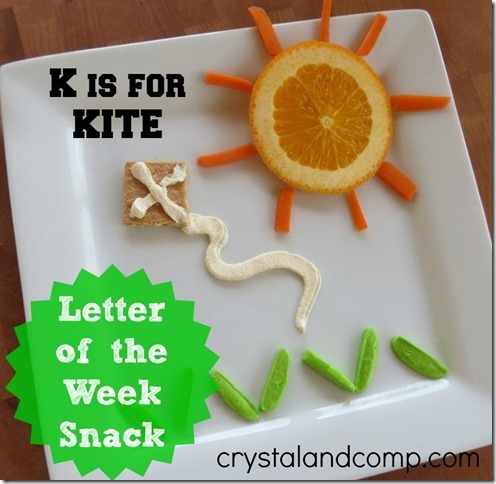 I love these letter of the week snacks from Crystal & Co. because they are cute and easy. There are other letters featured in her post as well. 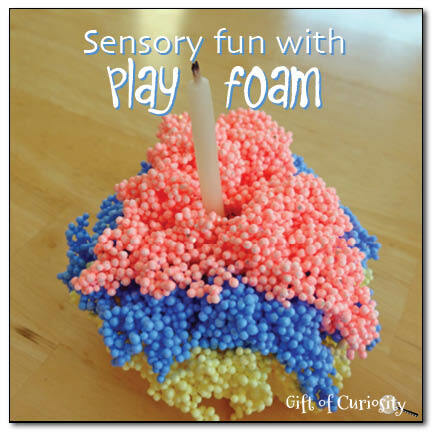 Play foam looks like another hands on activity that would be perfect for preschool aged kids. I love how Gift of Curiosity added a few props and watched the creativity blossom. 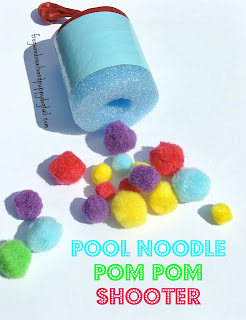 This pool noodle shooter is so simple to make by following Frogs and Snails and Puppy Dog Tails tutorial. I know you are probably thinking this shooter wouldn't be fun without a sibling to play along. However, think how fun it will be for the 3 year old to be armed and dangerous when big brother comes through the door! If you want to give your child a head start a prepare them for Kindergarten, you have to try Blue Manor’s Preschool Curriculum. In just 15 minutes a day, you will lay a strong physical, intellectual, and spiritual foundation that will last a lifetime.